Bluetooth is a wireless technology standard for exchanging data over short distances (using short-wavelength UHF radio waves in the ISM band from 2.4 to 2.485 GHz) from fixed and mobile devices, and building personal area networks (PANs). Range is approximately 10 Meters (30 feet). 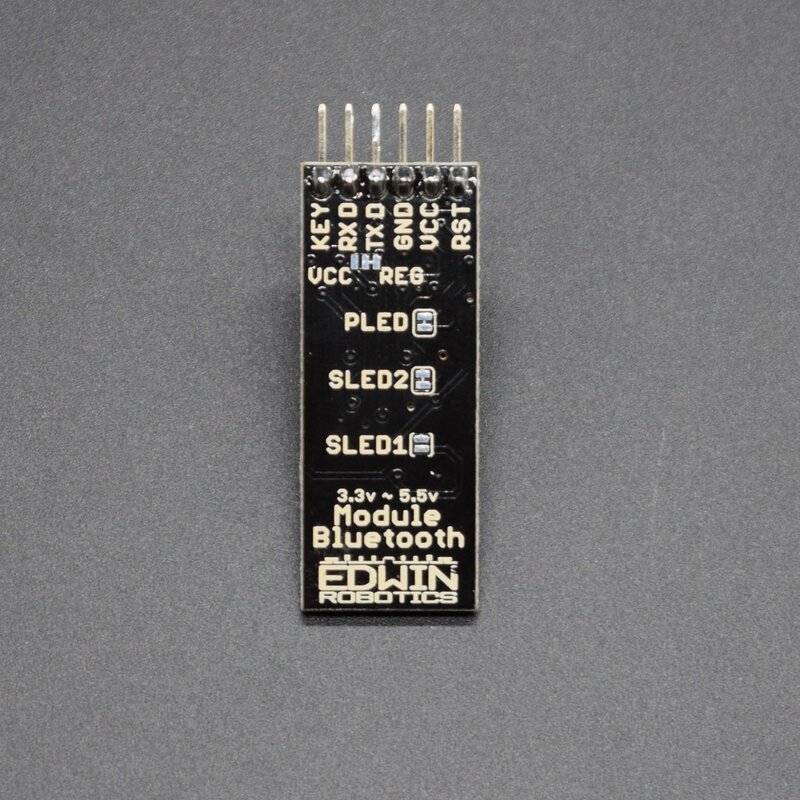 The Bluetooth Module Bluetooth HC-06s with Bluetooth V2.0 have proven themselves to be very reliable and easy to use module, these module uses serial interface for communication , thus very easy to interface with any microcontroller/Computer over RX/TX Lines. 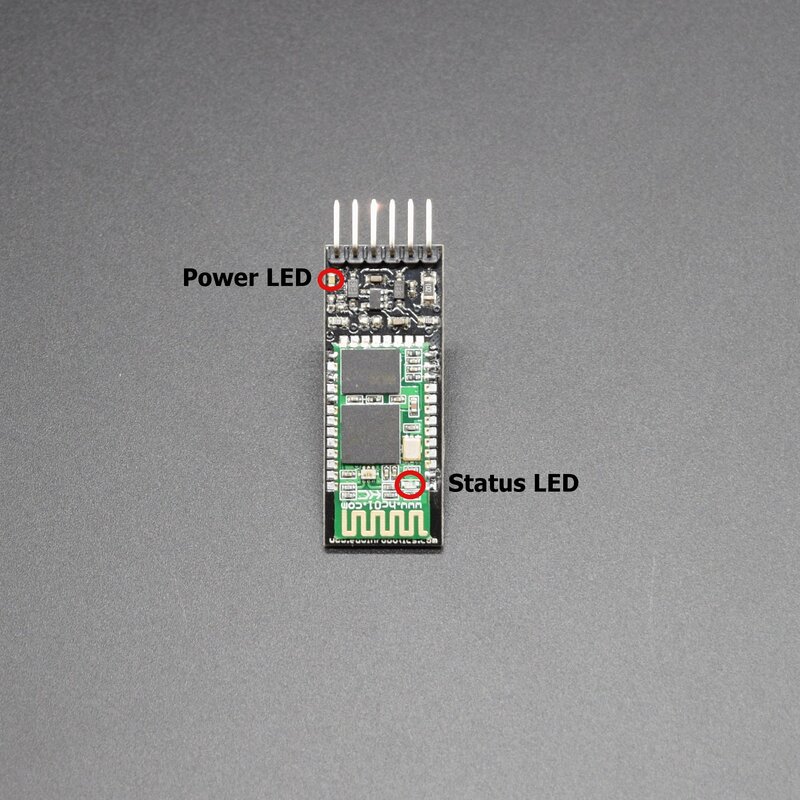 The HC-06 modules are based on the Cambridge Silicon Radio BC417 2.4 GHz Bluetooth Radio chip. 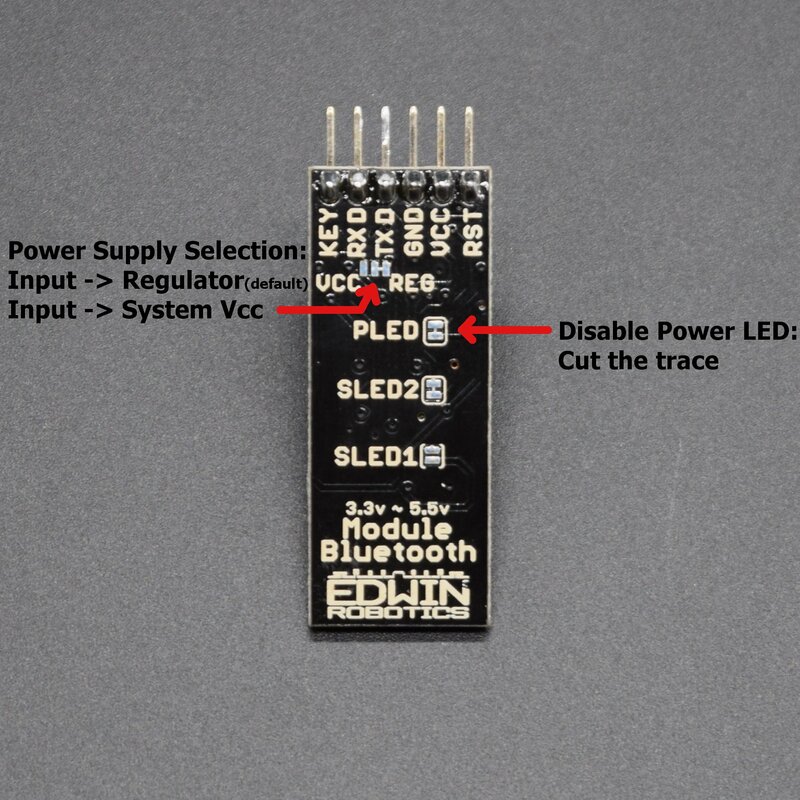 This is a complex chip which uses an external 8 Mbit flash memory. These low-cost Bluetooth Sub-modules work well with Arduino and other Microcomputers. 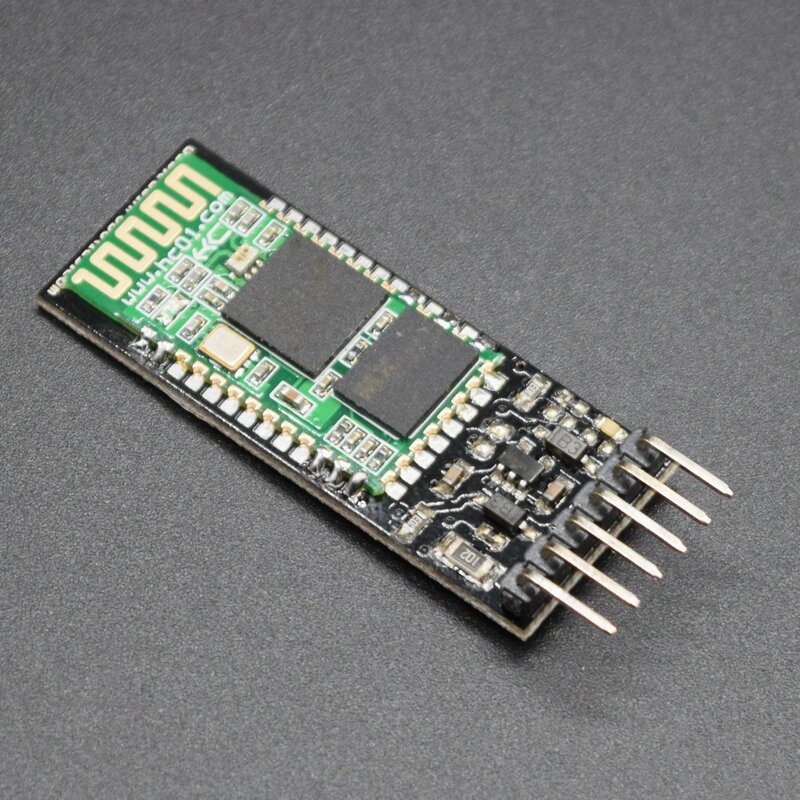 HC-06 is a Slave only device.The module has two modes of operation, Command Mode where we can send AT commands to it and Data Mode where it transmits and receives data to and from another Bluetooth module. By default the device was in Command mode and needs to pair with some device to get it into data mode. VCC/REG Its a two way jumper, to Use/ bypass regulator. By default: VCC connected to Regulator. Cut the trace and solder the center pad with VCC to supply 3.3V Supply to daughter board directly. SLED1 Dedicated for future purpose/Other boards. nl/cr line endings not required in the serial window. 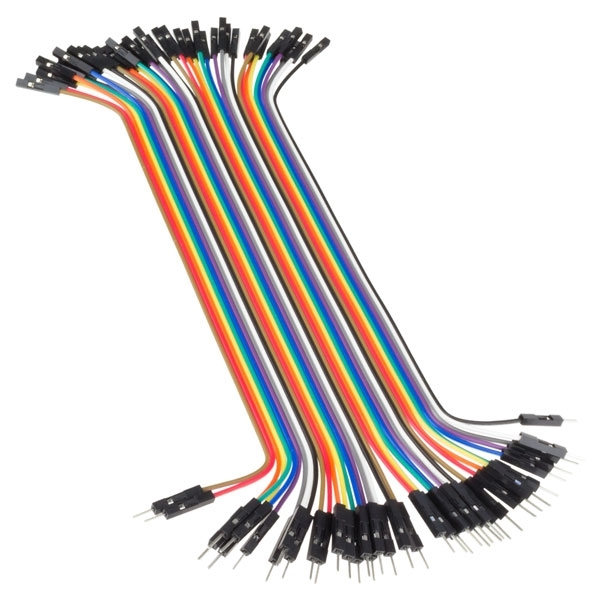 Download English Datasheet : In this datasheet, the photo would appear to be of an older version but the commands, pins and functionalities are same. We did not seen any affect or usage of this command, we will update this section , if there is some information on this part from the manufacturer.